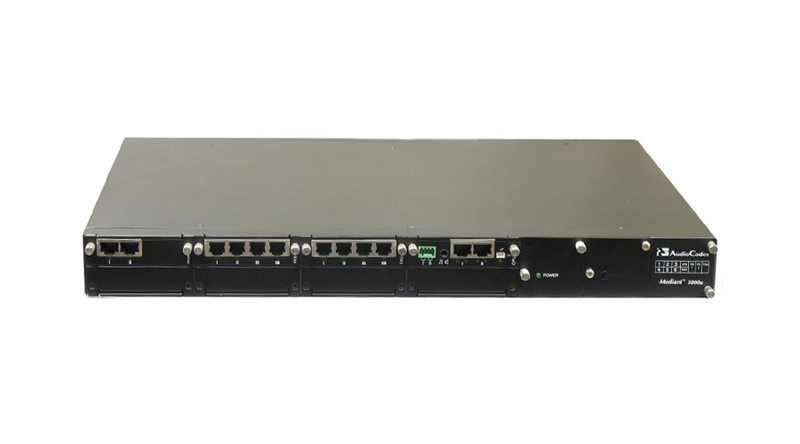 AudioCodes Mediant 1000B w- Single E1/T1 & OSN3 Server 2G RAM for Microsoft OCS R2 Hybrid Gateway Config. Includes single one module of single E1/T1, single AC power supply, fan tray, and embedded CPU. Supports mixed configurations of analog and digital voice modules. Including OSN Server (V3) with 2G RAM 80G HDD and Microsoft Mediation Server R2 . Including SIP and G.711/723.1/726/727/729AB Vocoders. Product does not include RS-232 cable (part #M1K-RS232) which is used to access the CLI for serial communication.